Reading good books is a difficult but life-transforming habit. It was my first day in FEA Centre on March 9, 2015 after completing the Induction training. This was before Power Hour was initiated and I was ignorant about the library program. One day I have received an email about my library training. I got trained and was very excited and expectant about the program. I passed on my excitement to my students as well but there was no sign of library books. 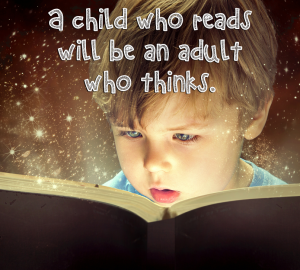 Every day, my students would ask when they would get the books that they were itching to read. Unconvincingly, I would say, “Very soon”. On the day of every Consolidation we used to discuss importance of reading, how to take care of books and the books we like/would like to read. Finally, we received our library books. On the first day itself, students reserved their books for next 3 weeks. Most of the students read one who book before the week was over. That week we had a real book discussion session. There were a few students who were reluctant to read. I did not force them. For the following book discussion, I planned a new and interesting strategy. I asked the students to deliver their favorite dialogs or parts from their books, using correct renunciation and intonation. This engaged both the active and reluctant readers. I encouraged them to read the pictorial and simple Cherry Tree (by Ruskin Bond). They found it very interesting. After conducting a successful BD, we were on a roll. I asked students for ideas to make it more effective. It was agreed that we will make half an hour for reading every day. When most students were able to make it a habit. Now it was time to engage with the parents as active partners in students’ learning. On the day of PTI, I discussed the power of reading with the parents seeking their support so that the students can make the time and develop the habit of reading. Parents and students started conducting BD at home with students sharing their reading with their parents before going to bed. Every subsequent PTI parents were encouraged to share their experience. One of my student’s mother shared how earlier the conversation at home was predominantly about the daily soaps and how it had changed to discussion about books and stories. Every book discussion was planned differently and creatively. By the time they appeared for E5 evaluation, all the students had read 3-4 novels and cleared their E5 successfully in the first attempt. On February 29, 2016 it was their last PTI of my students – it was a certificate distribution ceremony. Parents were very proud and happy. They took a pledge along with their wards that they would start gifting books to their wards, relatives and friends on their birthdays and will advise others to do so to. We choose our attitude towards people and situations. Either we can fix the problem or the blame. Introspectively, the delay in arrival of the books to our centre was a blessing in disguise as it gave us time to talk and get enthused about books.